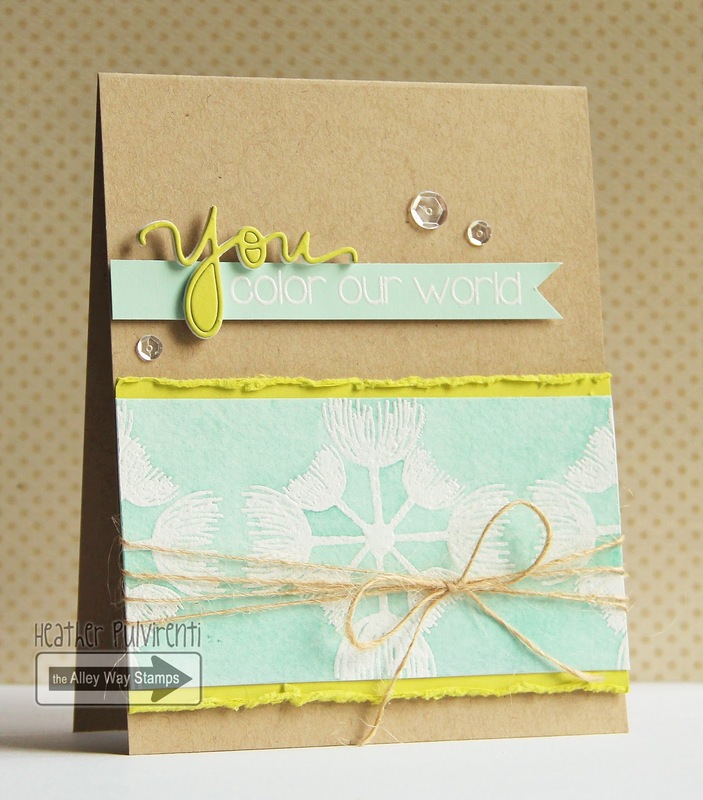 November Release Sneak Peek Day THREE: Wispy Wishes WIN IT! 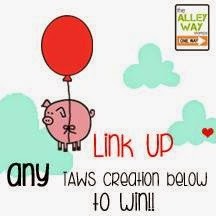 Click on the Rafflecopter widget below to enter to win this set - Wispy Wishes !!! ! You have until 7 pm TAWS time tonight to get your entries in! For our friends that do not have Social Media accounts, you can also just comment below. We will randomly pick commenters for our giveaways, too! This contest will run TODAY only (10/30/15), but we will have another HUGE giveaway tomorrow! Hi everyone. Lexa here with a sneak through the new set called Wispy Wishes, this set is so pretty and versatile with all the flourish and flowers. I totally love it! Hi Friends! Meredith here bringing you my sneak peek of a gorgeous set called Wispy Wishes. This set has beautiful flower and leaf sets that would be perfect for backgrounds or focal points depending on the colors and techniques that you would use. Today I've been super inspired by the amazing Jennifer McGuire to create a card using seed beads. I used a variety of Hero Arts dye inks and masked the flowers over each other. You'll notice that I messed up on the center one but I liked how it looked so I left it. I then took my Claudine Hellmuth Studio Matte Multi-Medium and put little dots of the glue all over my project. I then poured some beautiful seed beads that I've had for ages all of the front of the card and let it dry overnight. The effect is quite beautiful in real life. I added my sentiment and a strip of glitter cardstock to ground the entire piece. I matted it on black cardstock to make everything pop and attached the panel to a white note card. Hello Friends, Archana here. 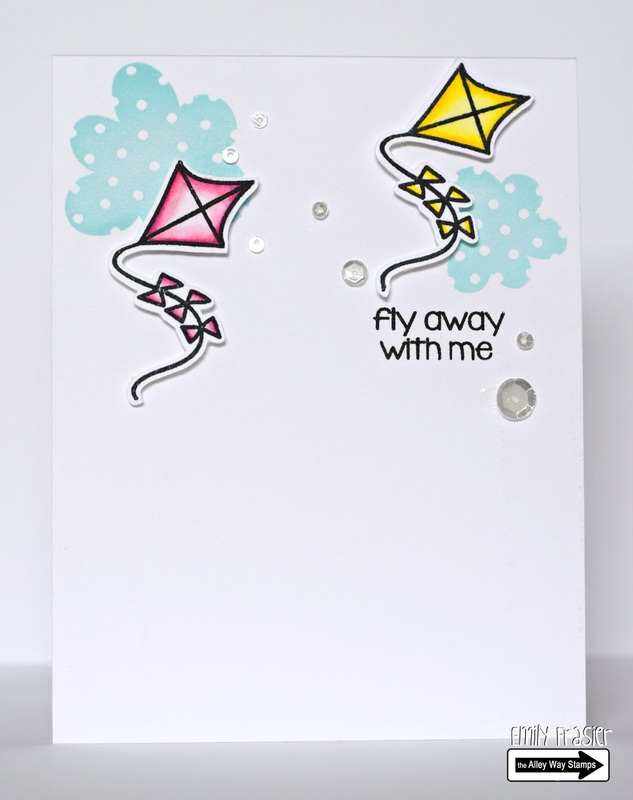 Today I´m showcasing new stamp set " Wispy Wishes". Its really beautiful stamp set with lovely flowers and leaf sets. 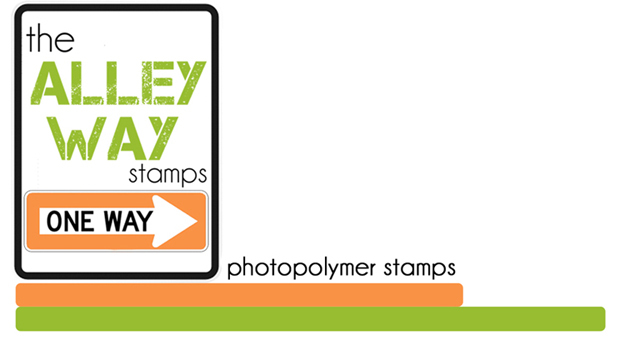 Its very versatile stamp set as you can create backgrounds or even as the focal point. 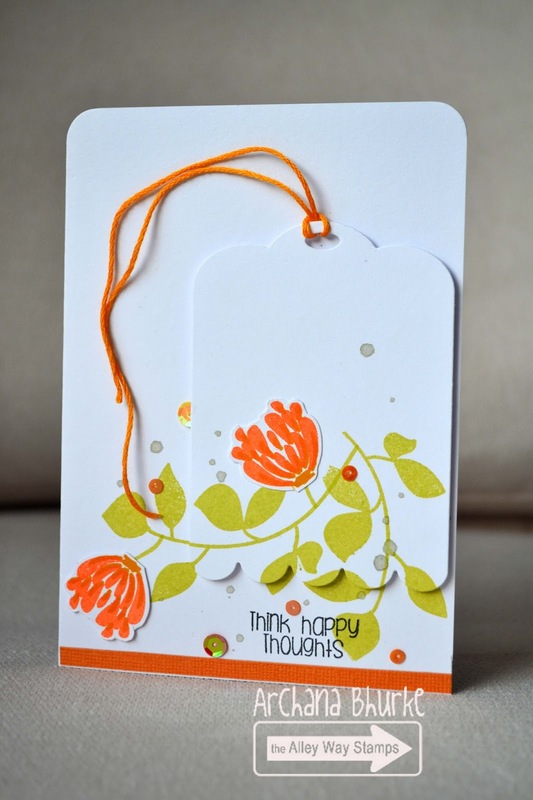 I picked this beautiful flower and leaf stamp from this set. 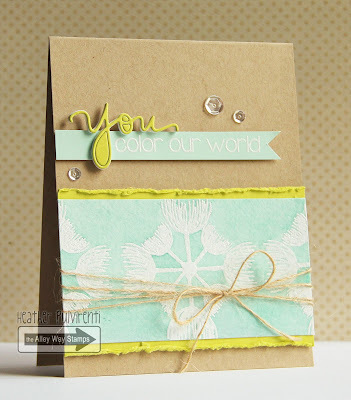 I stamped the flower using versa cyan color and wild honey distress ink and then did fussy cut. 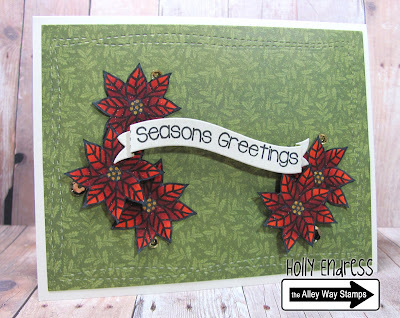 For the leaf image i used pear tart memento dye ink.I stamped the same leaf image on another paper and die cut the tag. In the end i added sequins, twine and mist spray in the background. Hi, everyone! 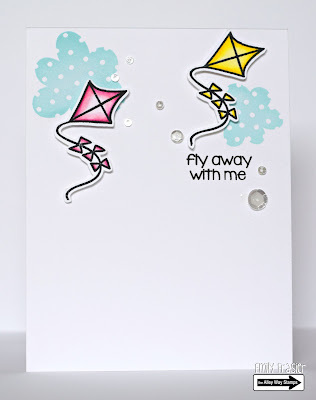 Heather P. here with my take on today's preview set, Wispy Wishes. I *love* this set, there are sooooo many different ways you can combine the elements to really get varied looks. 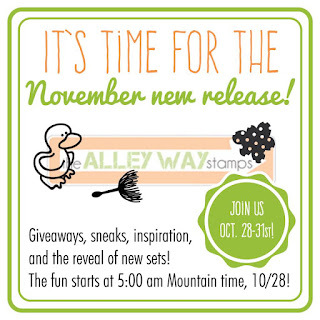 November Release Sneak Peek Day TWO: From Us WIN IT! Are you ready for more sneaks???? And are you ready to enter to win today's set? Click on the Rafflecopter widget below to enter to win this set - From Us!!! ! You have until 7 pm TAWS time tonight to get your entries in! For our friends that do not have Social Media accounts, you can also just comment below. We will randomly pick commenters for our giveaways, too! This contest will run TODAY only (10/29/15), but we will have another giveaway tomorrow! Hey there!!! Jeni here. Oh my...this is another fun one friends!!! I love these new sets!! Today I'm sharing this great sentiment from the From Us set!! It's got all sorts of fantastic sentiments--that you will just love!!! Hi it's N@ Ali. This From Us set is packed full with so many great sentiments! Stay tuned for the release! Hi all! Angel here with a card featuring the From Us set. This is such a great sentiment set! 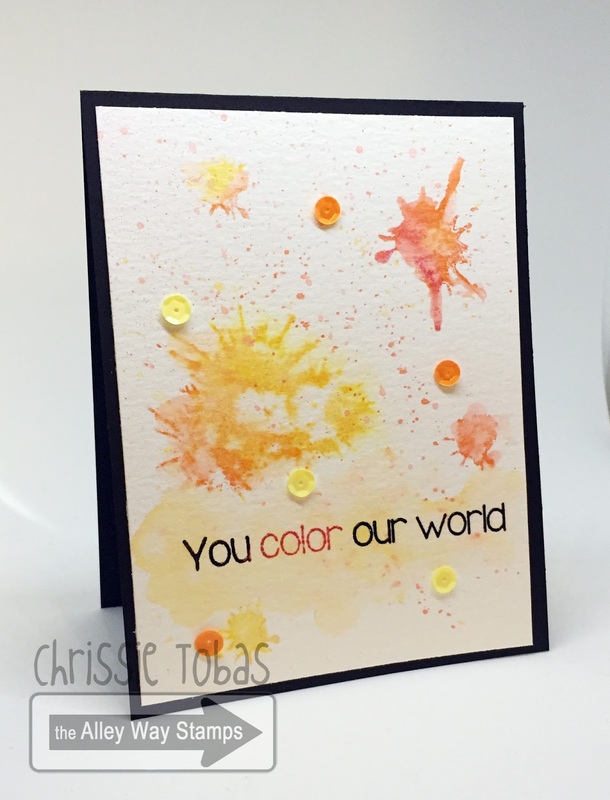 Chrissie here, combining the From Us set with Oh Splat. This set is so versatile! Hiya! 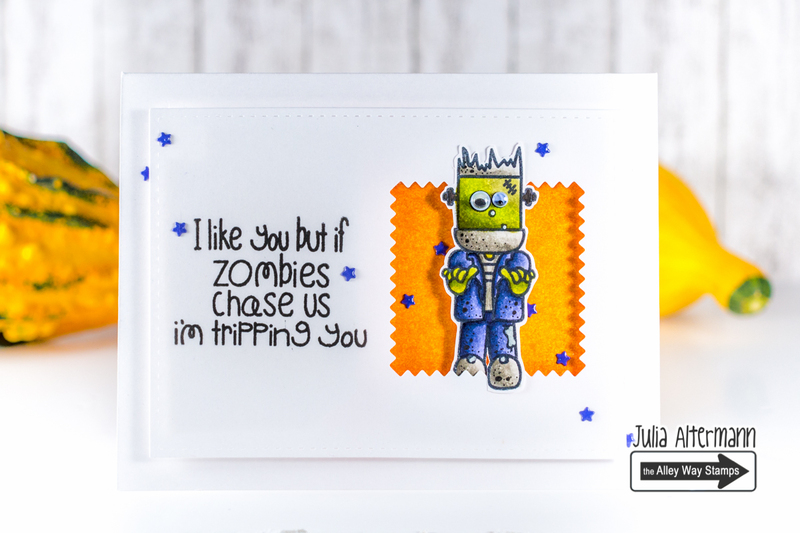 Dana here with my From Us sneak peek card! 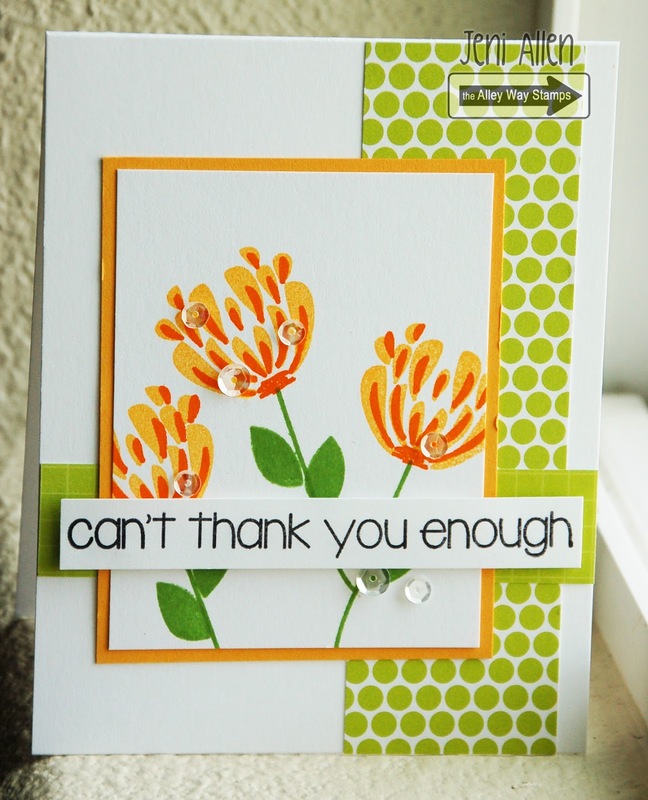 This is an awesome sentiment set for when you need something from more then one person! 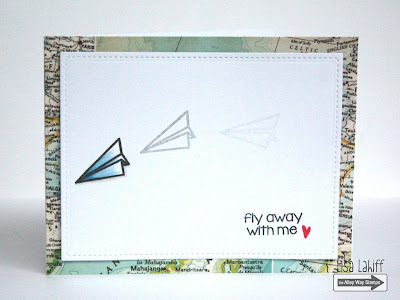 I also used some stamps from the new Wispy Wishes stamps that you will see tomorrow! 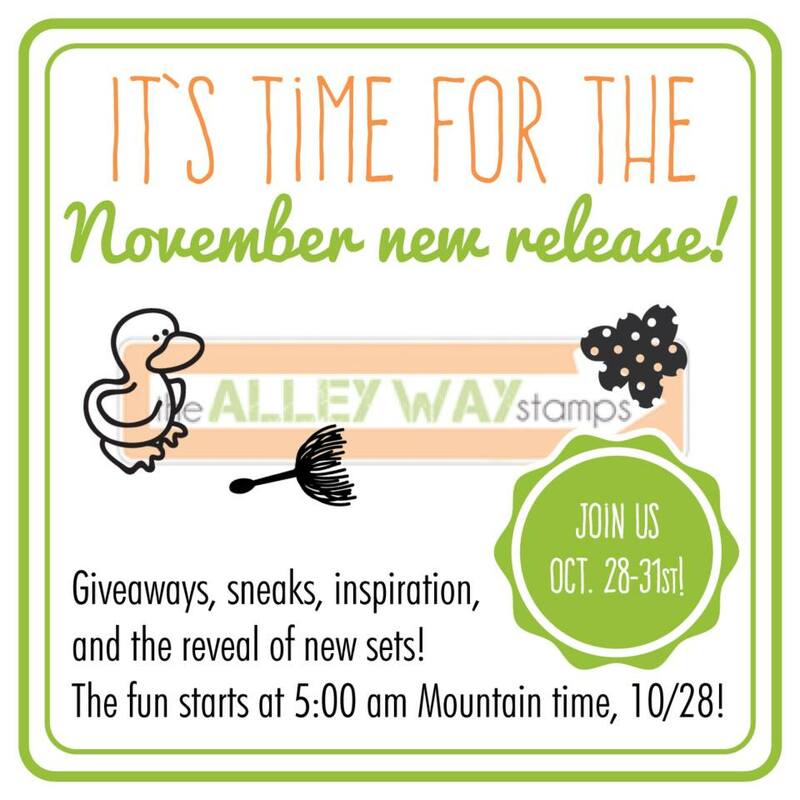 November Release Sneak Peek Day ONE: Rain or Shine WIN IT! Wow! Can you believe that November is almost upon us already? 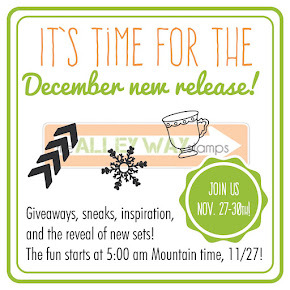 That means it's time to share some sneak peeks!!! Click on the Rafflecopter widget below to enter to win this set - Rain or Shine!!! ! You have until 7 pm TAWS time tonight to get your entries in! For our friends that do not have Social Media accounts, you can also just comment below. We will randomly pick commenters for our giveaways, too! This contest will run TODAY only (10/28/15), but we will have another giveaway tomorrow! Good luck!!! Hello, Emily here with a Sneak Peek of November release. On this card, I used the set called Rain or Shine. Aren't those polka dot clouds fabulous? Hi! It's Yuki here with a sneak peek of the new "Rain or Shine" set. This is such a fun and versatile set. 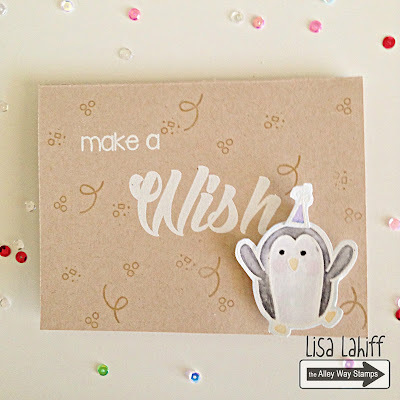 I just love how you can mix and match the different images and sentiments in this set to make so many different types of fun cards! Hi everyone it's Holly here with a fun card that's perfect to let someone know you care. The new Rain or Shine set is the perfect set for Friendship or just to say you are there. Hello and yay!!!! 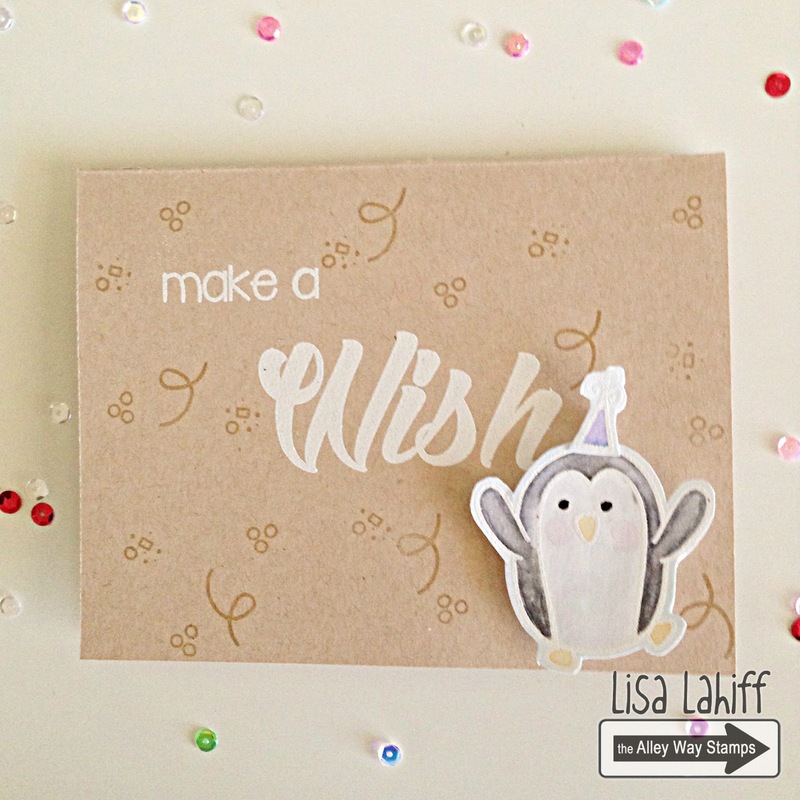 It's Lisa and I am so excited to be sharing the first set of sneaks with you today!!! This new set, Rain or Shine, is just too fun, and has so many great images that you'll have a blast when you get your hands on one too! Enjoy! Hey Everyone! Marina here! So excited to share with you one of my favourite sets from the new release, Rain or Shine! The clouds are just screaming my name and I can't wait to use them again and again. Hi it's N@ Ali. 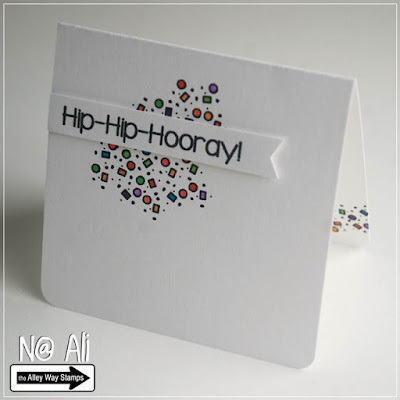 Here's a quick fun card, the sentiment is from It's My Party and the confetti from Slurp. Hi, Lexa here. I make a sweet Christmas scene using these bears from Party Pooper as a couple under the mistletoe. I still love this cute sentiment from Mistletoe Kisses, it's beyond adorable. I masked the background to create a winter feel. Hello! 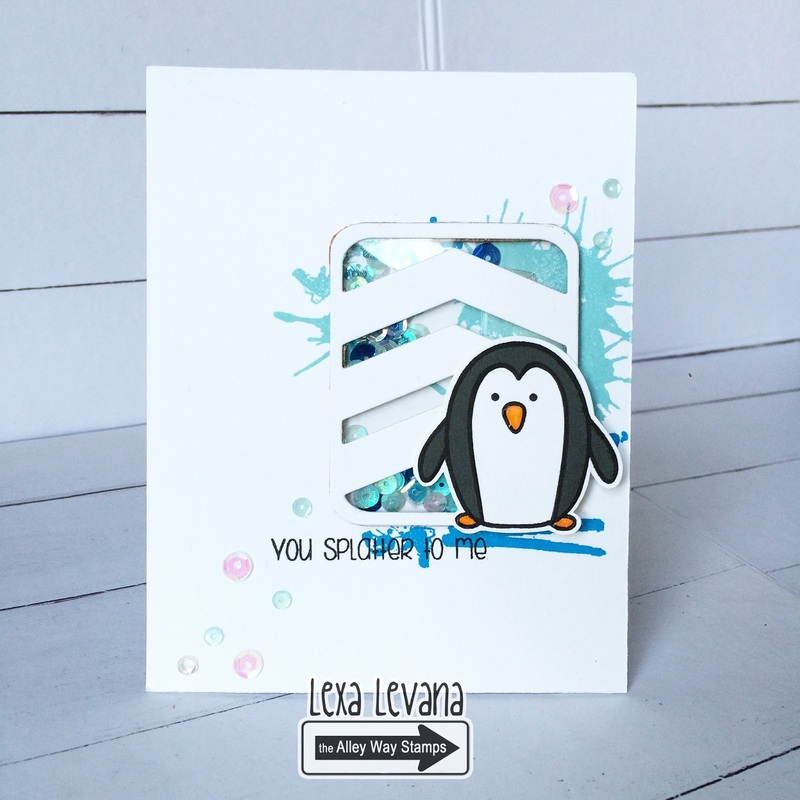 Dana here sharing a card featuring this months Sweet Thing stamp set. I paired it with the balloons from Cake Day. Hi all! 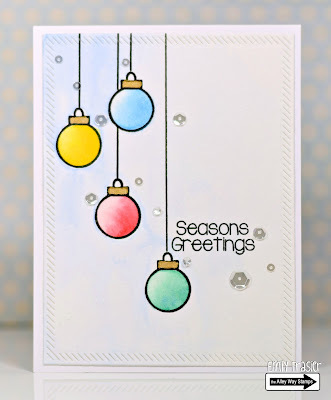 Angel here with a card using the Mistletoe Kisses set. I love all of the sweet little images in this set! Hi it's N@ Ali. 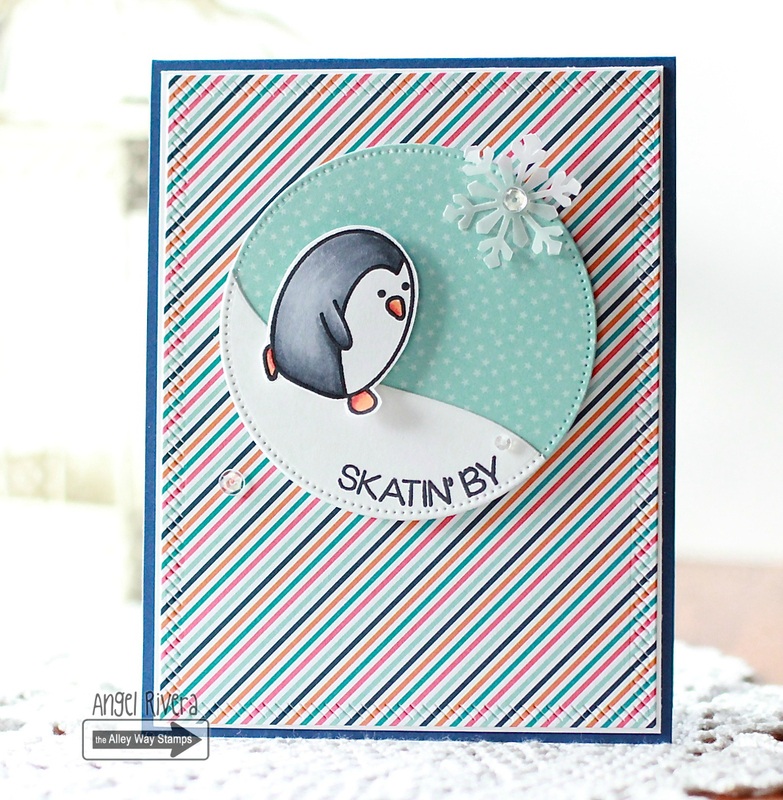 Here's my card using this month's mini set Chilly, and also Waddle Pals for the penguin. Abandoned Coral (swoon!!) ) so I tried again and again until I got a pattern that I liked. I added some wonky black stitching, some new gold washi tape and a few glitter gems for some added depth and texture. Hey everyone! Today's card might looked simple but it's actually pretty special for me becuase this is my first time using the Perfect Pearls. I've started by taking the flowers from the Twinkle Toes set and use the VersaMark to stamp all over the dark brown panel. I'm not sure if I'm doing this right but I used the PP brush and use it to swipe the powder over the image. I love the look of it and I would like to try more. I've added copic marker on the banner image to add more dimension to the banner. 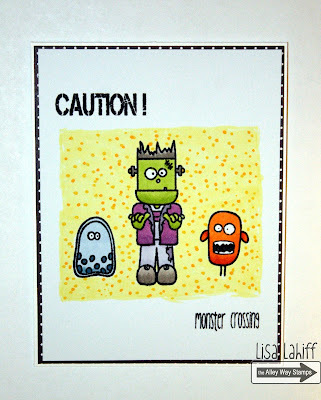 Hi It's Therese here and I have a video to share, today I'm playing with the fabulous BIG Time, Brain Freeze and Party Pooper stamp sets where the focus is adding some simple details by using your pencils. Thanks so much for you visit! Happy weekend!! Jeni here. I've got a fun little number perfect for a party!! 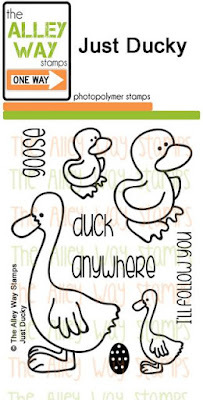 I love images from the Waddle Pals set, this I know you know by now! ;) I also happen to LOVE saying "hip-hip-hooray!" so this sentiment from the It's My Party set just calls my name!! Hi crafty friends! 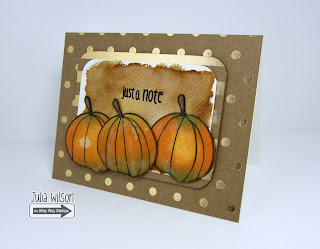 It's Julia W back today to share a fun fall card. Can you guess which stamp set I used? I took the peach image from the Tooty Fruity stamp set to create some autumn pumpkins. You can watch the video below, or on the TAWS YouTube channel. Hi everyone. 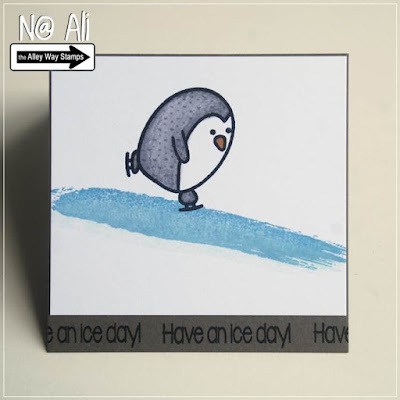 Lexa here with a shaker card that featuring this adorable penguin from Waddle Pals. I paper pieced the penguin with dark gray card stock for this darker body part. The splatters and sentiment come from Oh Splat, I still love this set so much. Hello, Emily here with another Christmas card to share. This one was made with Mistletoe Kisses set. I colored my mini ornaments with Gansai Tambi watercolors. Hi everyone it's Holly here and today I'm throwing it back a little and mixing up Big Time & Bacon Bits together. I mean who doesn't LOVE Bacon??? 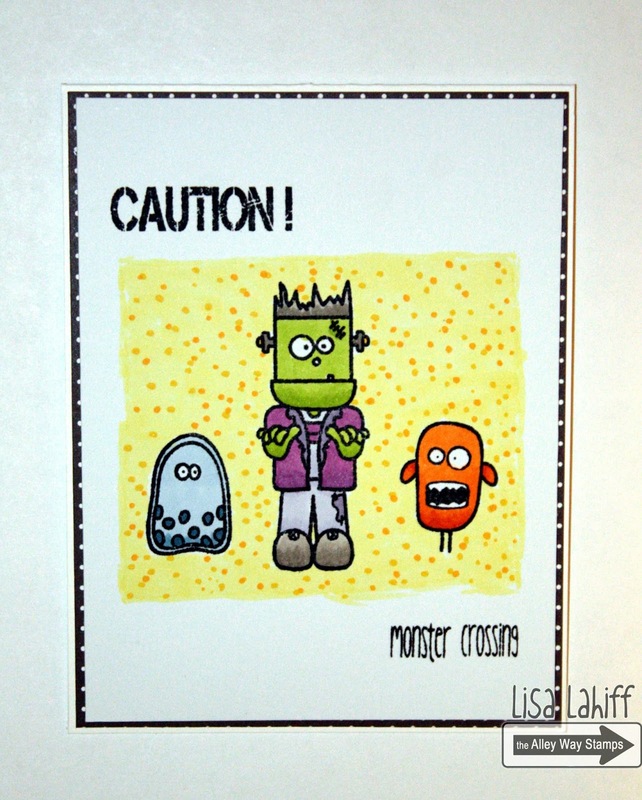 Creepy greetings, crafters! 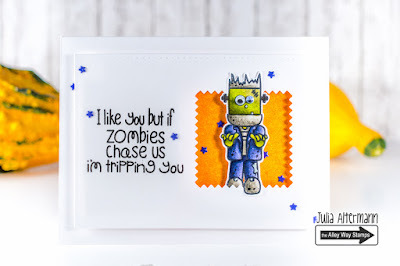 Julia A. here today with a super fun card featuring once more the great Ghoul Friends stamp set and the hilarious sentiment is from Bumps in the Night. I was wondering: how can I make my cards appear to be more dimensional, but not add any more bulk and weight to them? In the video below, I'll show you a super easy trick that will work with all kinds of motifs (characters, critters, flowers...) and just add that little bit of extra to your projects. Enjoy! Hi Friends! 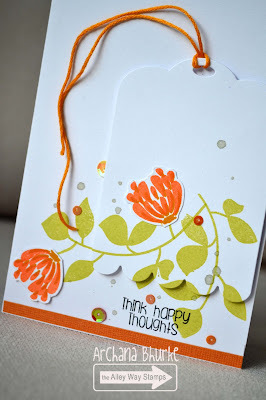 Meredith here with a VERY simple card inspired by the wonderful Jennifer McGuire. I coated my Neenah cardstock with Peacock Feathers Distress Ink. I then took one of the awesome images from the Flower Doodles set and spritzed it a few times with my mini mister bottle which has Perfect Pearls mixed with water. It creates a shimmery water. I then stamped direct onto the paper with nothing but water. 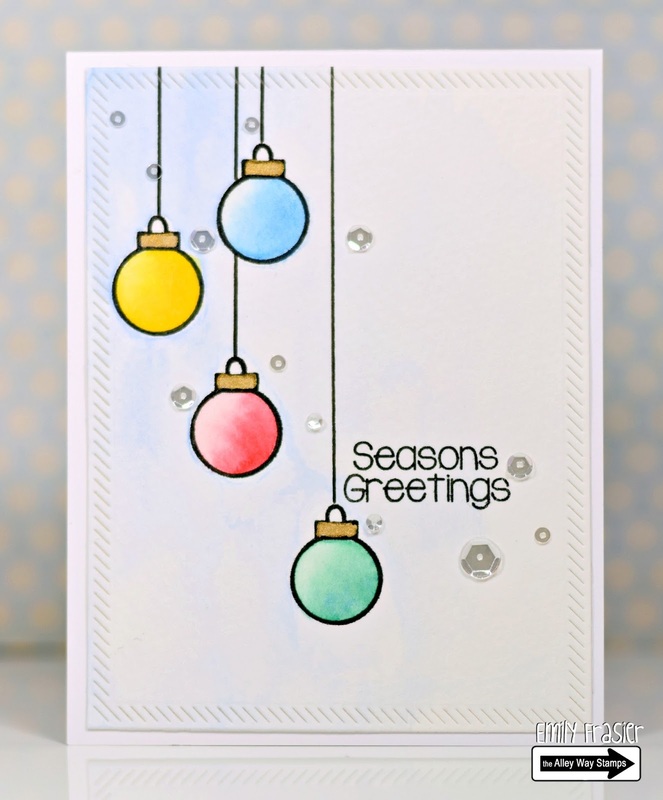 Because the Distress Inks react with water the image that's left is shimmery and subtle. It's truly beautiful in real life as it's hard to see the shimmer in the photos. 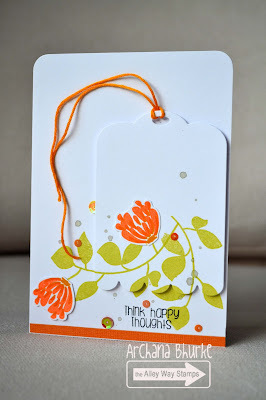 I then stamped my sentiment front and center from the Jibber Jabber set and added the pop of color with the heart bubble from the Spellcheck set. Hi it's N@ Ali. This cute penguin and the sentiment are from Waddle Pals set, the brush stroke is from True Colors. Hello! 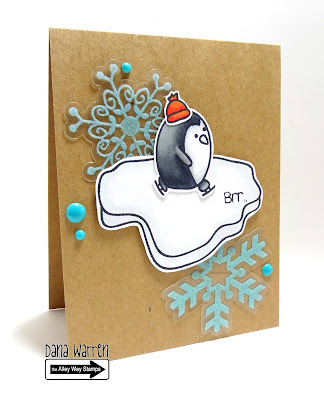 Dana here with a card featuring Waddle Pals and Chilly!! Chilly is this months FREE set with a $40 purchase!! I found some snowflake embellishments that i have never used before, these stamps are perfect with snowflakes!! Hi all! 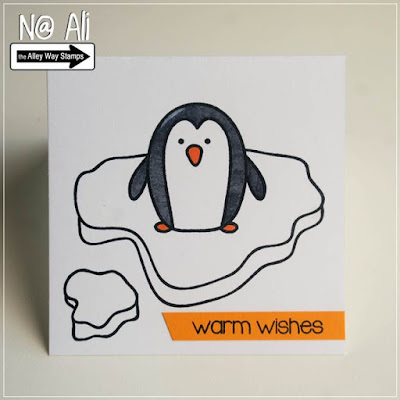 Angel here with another card using Waddle Pals - what can I say?! They're so adorable!! Hi guys!! 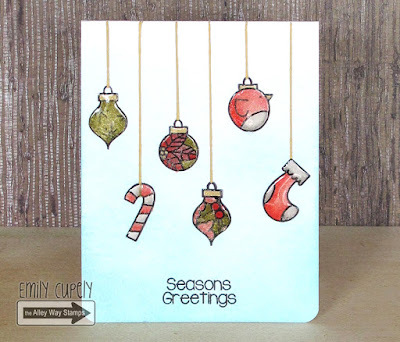 This is Emily Cupely with a one layer Christmas card where I used some negative masking with my Mistletoe Kisses stamp set. Hope you enjoy the video tutorial below where I show you the whole process! 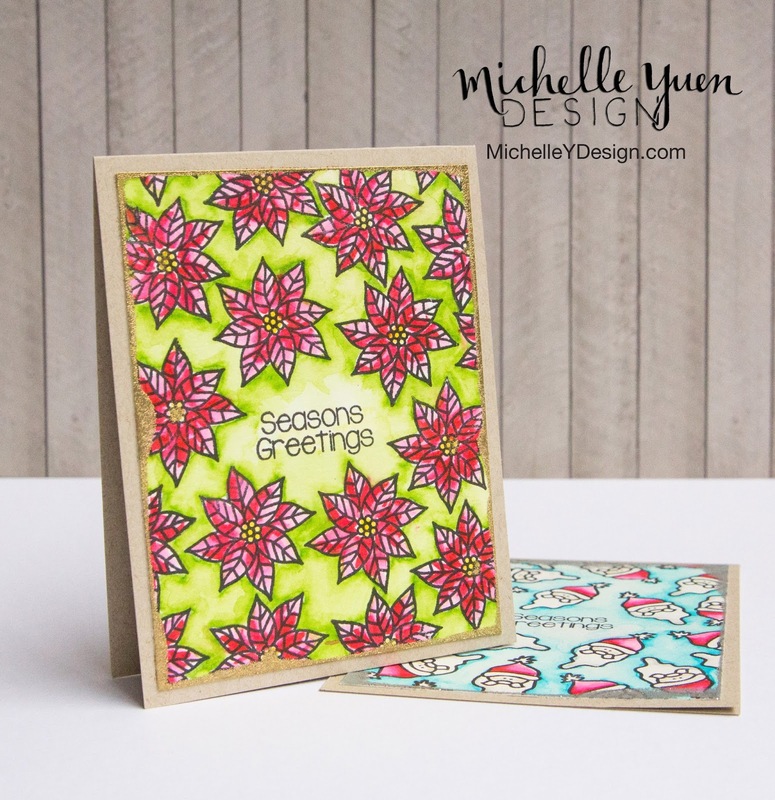 Hello Friends, Archana here.Today, I have bright and colorful holiday card featuring "Mistletoe Kisses" stamp set. 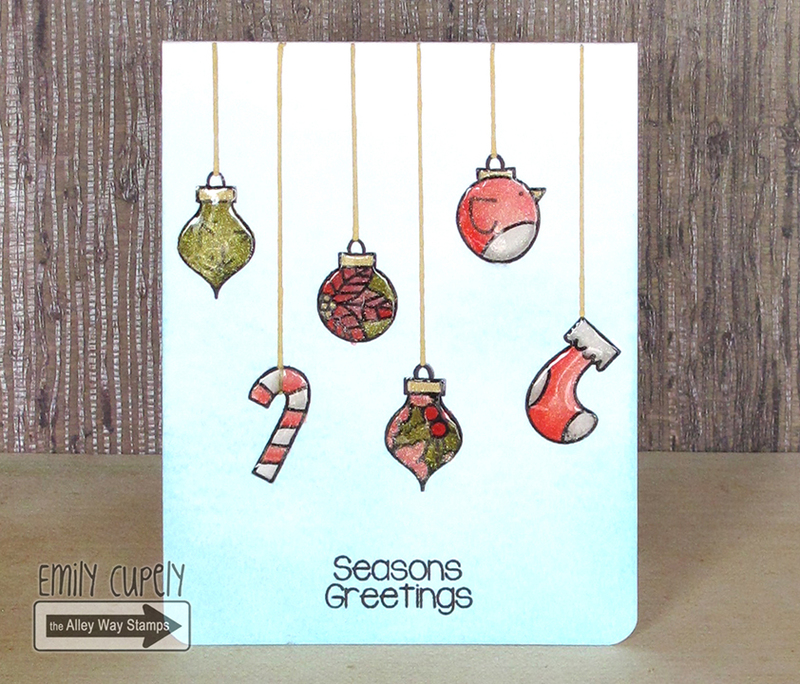 This set has lot of cute little images for holiday cards. 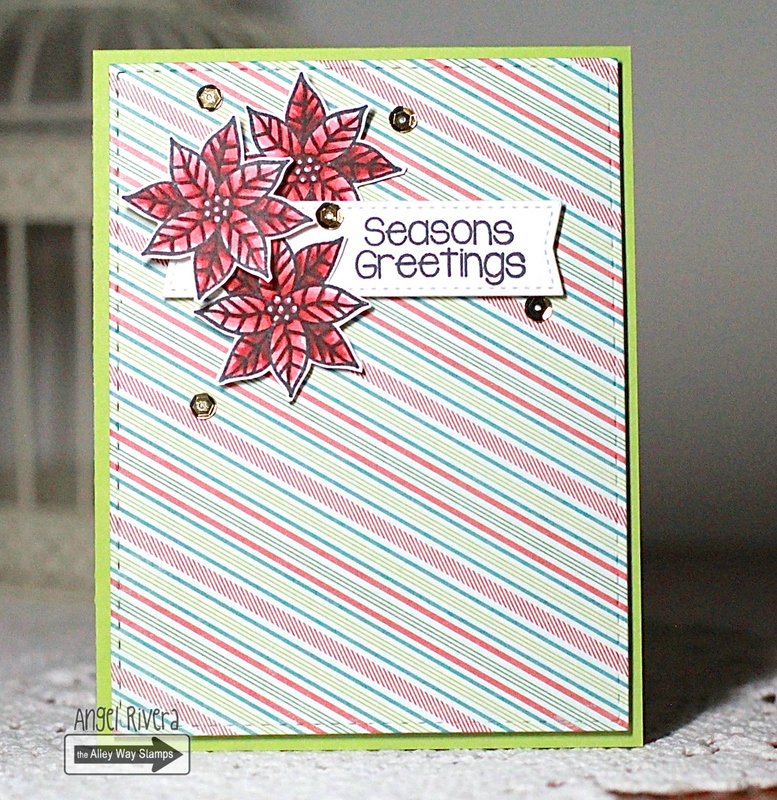 Today I picked this lovely snowflake image from this set. 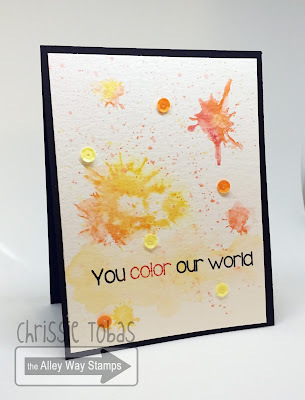 I stamped the image using different dye inks. 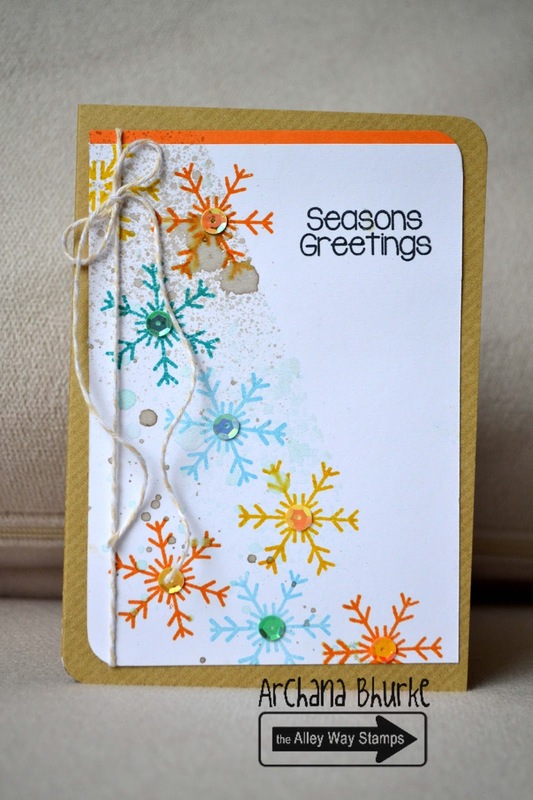 Added matching sequins in the center of each snowflake and sprayed some mist in the background. Hi everyone! 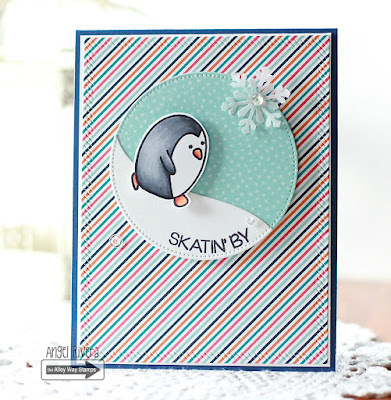 It's Yuki here today sharing a fun holiday shaker card featuring the new "Waddle Pals" set.I started off by coloring the little penguin with Copic Markers and then fussy-cut him out. I used a stitched banner die for my focal panel and die cut a circle from the panel to create my shaker window. I die the the snow bank inside of the shaker from silver glitter cardstock and then filled my shaker window with marshmallow seed beads. I thought the seed beads looked like snow and since they're so small, I was able to use just one layer of craft foam to create the shaker which helped minimize bulk. I then heat embossed the sentiment with "Liquid Platinum" silver embossing powder. I mounted my shaker panel onto a piece of coordinating pattern paper. I die cut the right side of the kraft cardbase with a stitched scalloped. To give the left side some added interest, I added a strip of pattern paper. 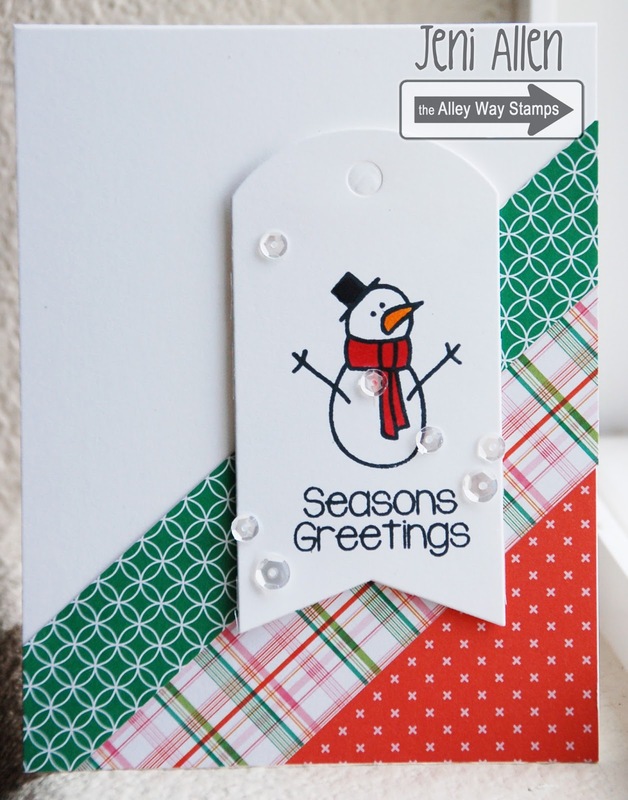 To finish the card, I added 4mm and 6mm Marshmallow sequins. 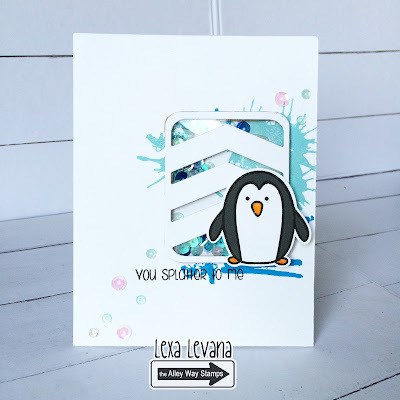 This was such a fun card to make and I hope you were inspired! 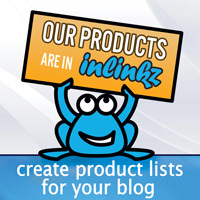 Be sure to visit my blog for a full list of supplies. Thanks for stopping by! Hello! 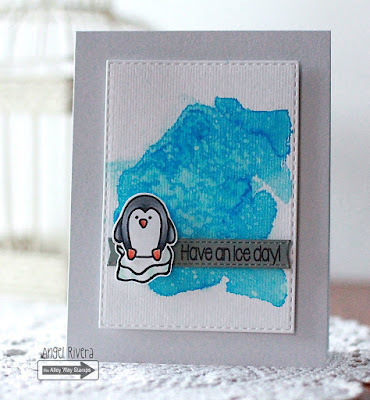 Lisa here with a cute little watercolor card using the Waddle Pals Stamp Set. 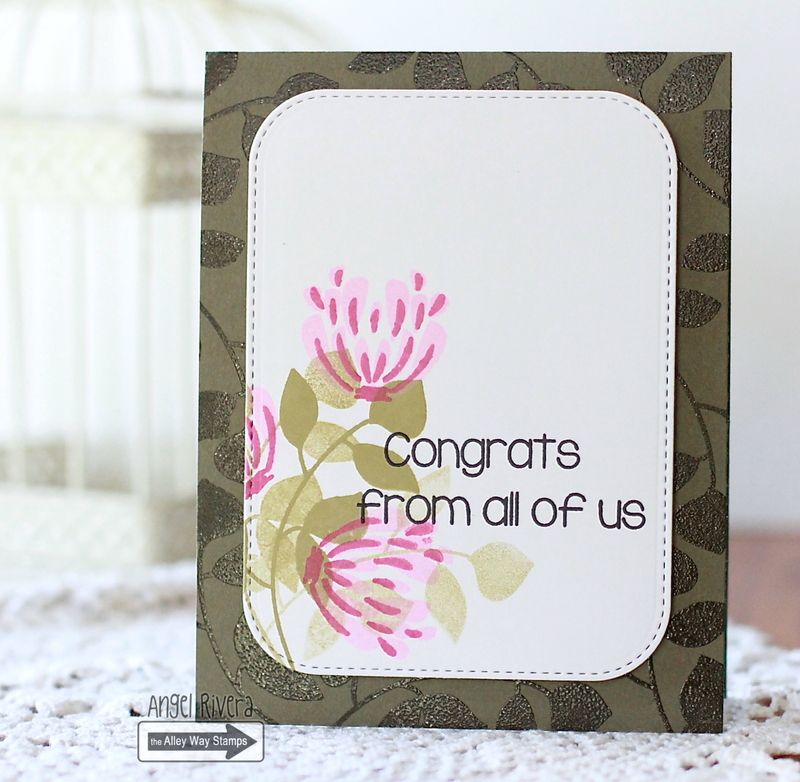 To create this card I started by embossing the sentiment in white on kraft paper. 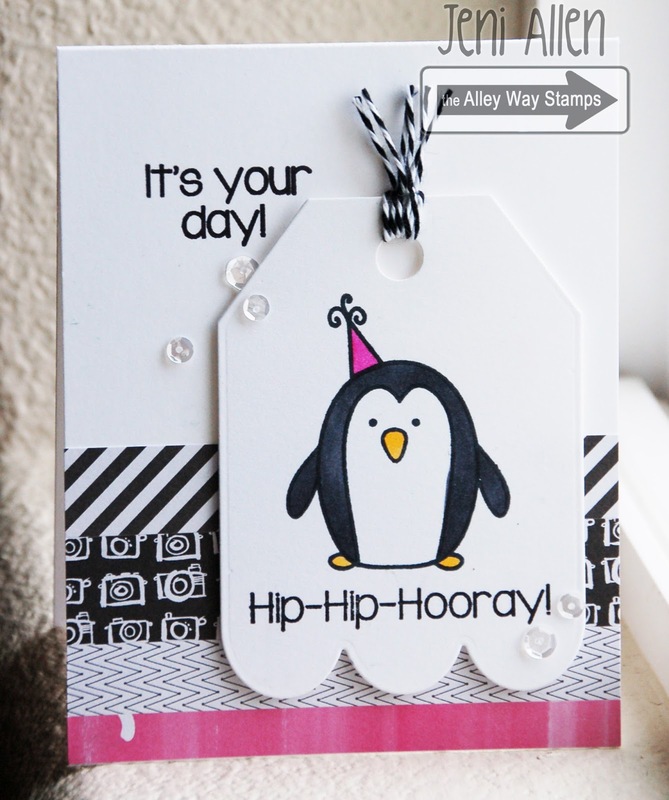 I then stamped my little penguin guy and his party hat in white onto white watercolor cardstock. I then used my distress markers to watercolor the happy guy in before fussy cutting him and adding him to the cardbase. 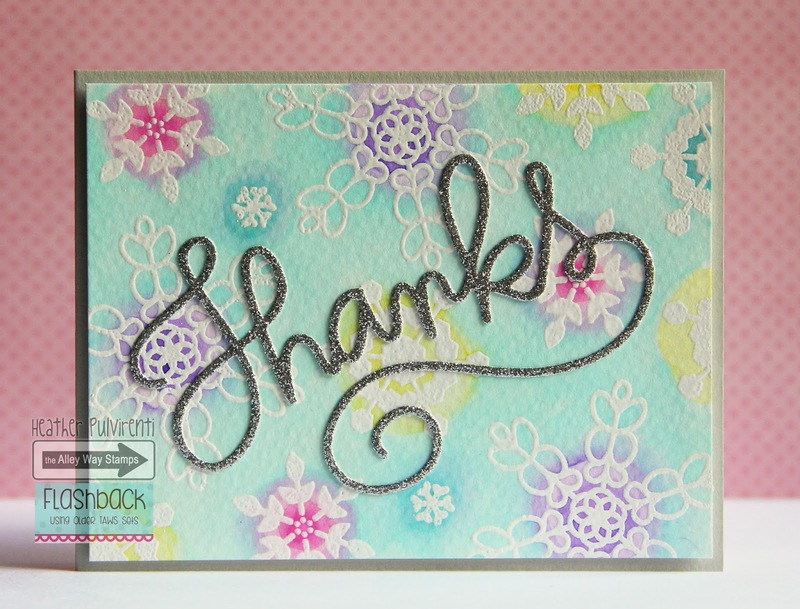 I finished it by stamping some fun confetti from an older stamp set called Cake Day. Hi everyone it's Holly here with a fun card using the set Mistletoe Kisses. It's hard to see in the photo but I added some Red & Gold Wink of stella to the Poinsettias for some shimmer.. So pretty! 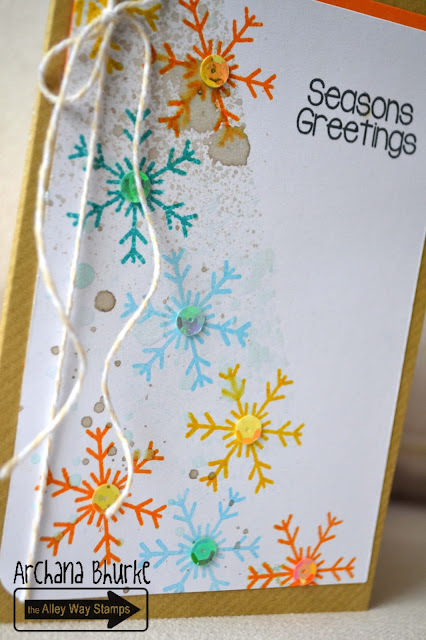 Repeated Stamping Full Watercolor Holiday Cards + Have an Ice Day! Brrrrr. I don't know about where you are, but where I am, it has been getting cooold out! For this summer-loving girl, at least. ;) And the cold weather has reminded me that soon, it's going to be Christmas! Which means... it's time to get started on those holiday cards! Because come December, there never seem to be enough holiday cards around for everyone and it's better to get started early!! 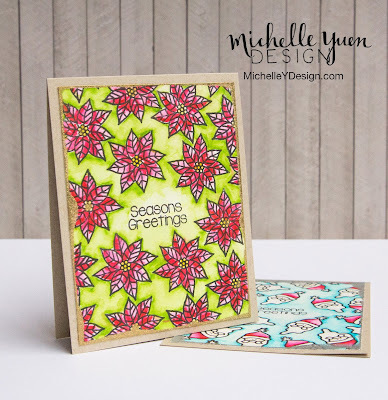 It's Michelle here and for today's video tutorial, I decided to stick to a really simple technique that I love doing, especially for smaller images - repeated stamping to create a background that looks almost like patterned paper. 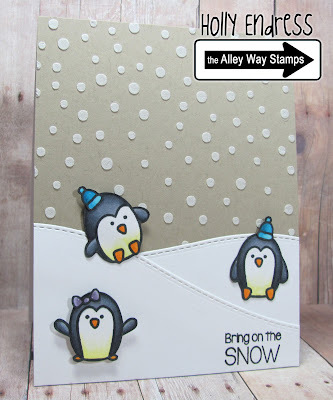 I really like the Mistletoe Kisses stamp set from The Alley Way Stamps because there are a ton of holiday-themed images and they are all the perfect size for repeated stamping! 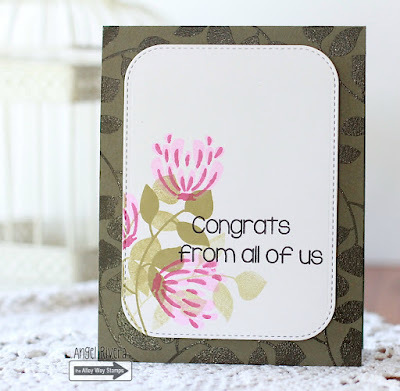 If you liked this repeated stamping technique, here's a card where I did this to create a tone on tone background, and another where I used this technique and colored with Copic markers. Hello! 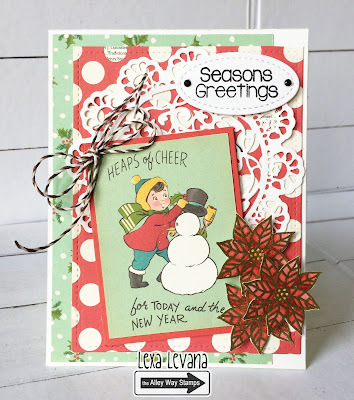 Dana here with card featuring the cute little snowman from Mistletoe Kisses stamp set! 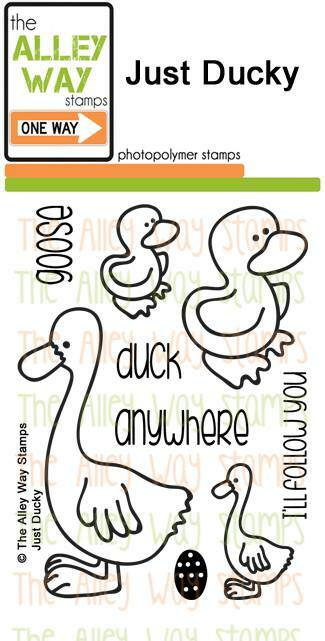 I paired it with a sentiment from Waddle Pals. 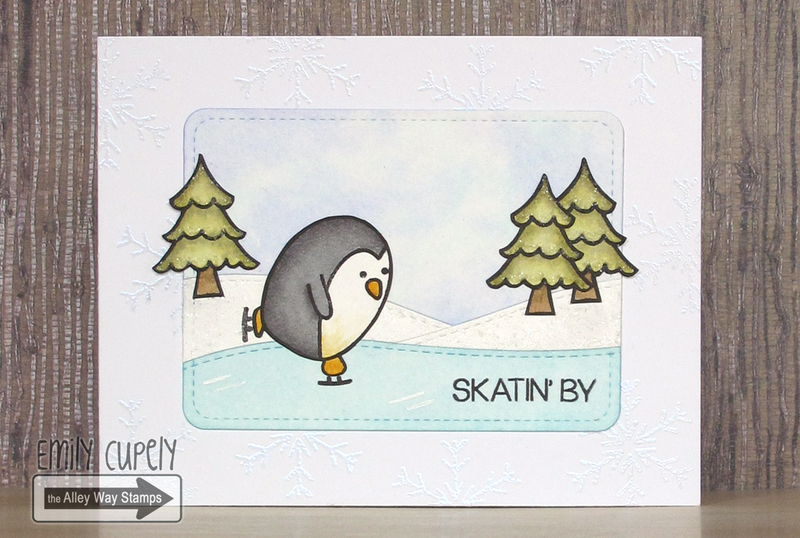 Hi everyone it's Holly here with a fun new card for you using Waddle Pals. This snowy card if perfect for me today.. we got hit with snow yesterday where I live. I didn't see any penguins out there playing in it though. 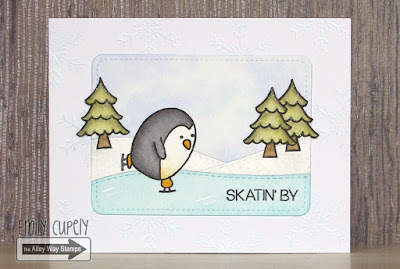 I used some embossing paste and a stencils to create the snow and colored the penguins in with Copics. Hi everyone. Lexa here with a vintage look Christmas card. I gold embossed the flower from Mistletoe Kisses then watercolored them. The sentiment is also come from the same set. I choose red and mint instead of green for this card. Hope you like it! Hi all! 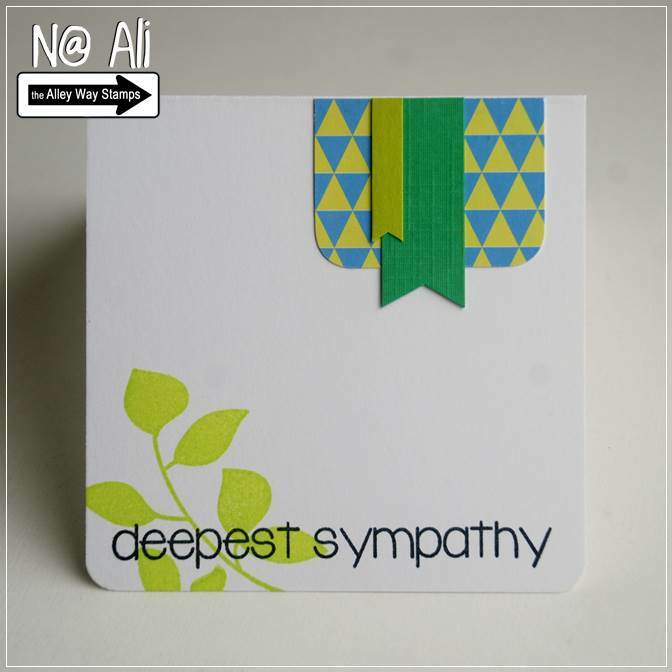 Angel here with a card using an image and sentiment from Waddle Pals. I paired it up with an image from the FREE when you spend $40 Chilly set.